A delicious light, lemony and tangy treat for your next family get together. Enjoy! Add zest, coconut, sugar and set aside. Mix wet and dry ingredients to form a dough. Pat rest of dough in a grease 20cm by 20cm tin and bake at 180C for 10 min. Cool. Mix all the filling ingredients then let mixture stand for 2 min. Bake at 180C for 20-25 min. Cut into squares whilst still warm. Cool completely before removing from baking tin. 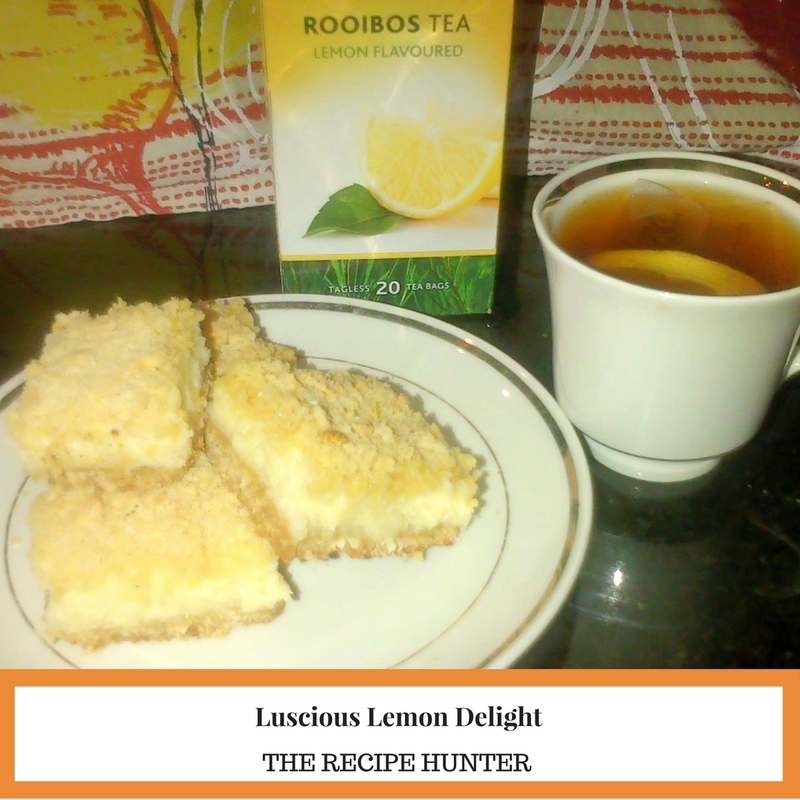 Yummy with lemon rooibos tea.